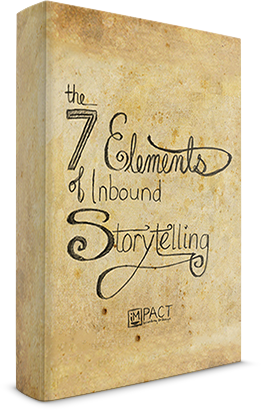 Free eBook:The 7 Elements of Inbound StorytellingHow to tell a remarkable story and stand out. As marketers, we know that content, blogging, and social media is critical to the success of our campaign and overall strategy. But what happens now that everyone has caught on? Your goal then becomes differentiating your brand from the competition by telling a remarkable story that resonates with your audience. A story that inspires prospects and delights your customers. Learn how to tell a remarkable story and separate your brand from the noise.